Listening to music can help deter distractions, boost creativity and inspiration, improve your mood, and get in the zone. 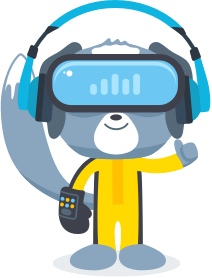 Software correlates productivity data from your text editor or IDE with data from Spotify to show you your top songs, genres, and playlists for coding. How does listening to music impact your ability to get in the zone? Software shows you which genres of music result in your highest intensity coding based on your keystrokes per minute. See if the "Mozart Effect" works for you or if you find your flow listening to rap. 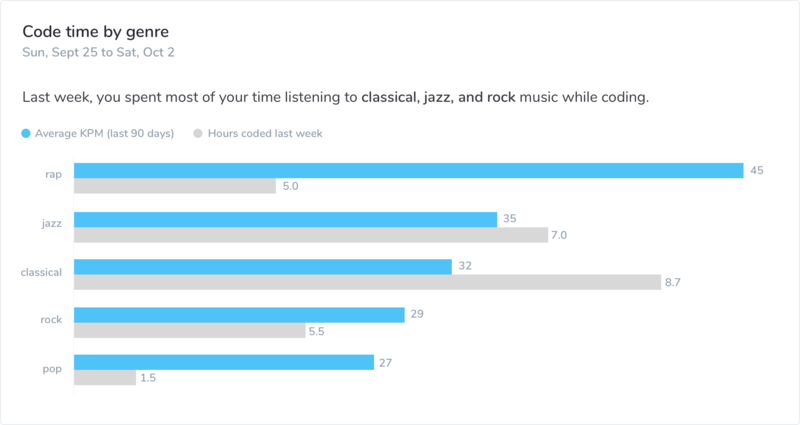 You can also measure how much time you spend coding by genre of music each week. Tempo, familiarity, volume level, and various other factors can influence how music impacts your flow. Run experiments to see how songs and playlists impact your productivity. Sign up for Software to see which songs, playlists, and genres help you get into the zone.